Looking for African table tennis clubs? 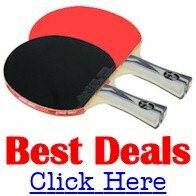 If you're searching for a table tennis club in the African region of the world, I've gathered together some resources to help you on your way. Firstly, I have a list of table tennis clubs in Africa which have been submitted by visitors to my web site. You can view the list right here. And if you belong to a table tennis club in Africa yourself, why not add YOUR CLUB to the list ... it's really easy to do. Alternatively, if you're looking for a South African TT club try the South African TT Board web site. There's loads of information including results, table tennis tips and who to contact for further information. 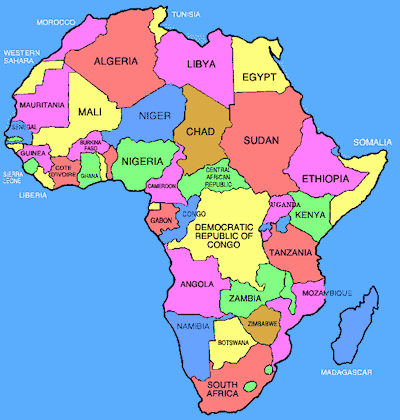 Algeria, Angola, Benin, Botswana, Burkina Faso, Burundi, Cameroon, Central Africa, Chad, Comoros, Congo Brazzaville, Congo Democratic, Cote D'ivoire, Djibouti, Egypt, Equatorial Guinea, Ethiopia, Gabon, Gambia, Ghana, Guinea, Kenya, Lesotho, Liberia, Libyan Arab Republic, Madagascar, Malawi, Mauritania, Mauritius, Morocco, Mozambique, Namibia, Niger, Nigeria, Rwanda, Senegal, Seychelles, Sierra Leone, Somalia, South Africa, Sudan, Swaziland, Tanzania, Togo, Tunisia, Uganda, Zambia and Zimbabwe. You can find contact details for these National Associations here.